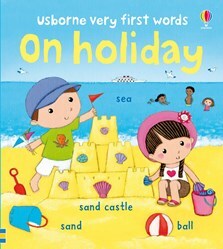 A charming and colourful picture wordbook with fifty holiday-related words. Scenes include getting ready to go, on the beach, on the campsite and picnic time. A book perfect for sharing or for a child to enjoy alone.